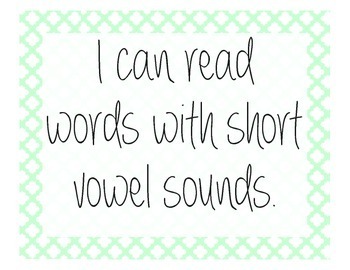 This product contains a full set of printable word cubes, each of which focuses on words spelled with a consonant-vowel-consonant spelling pattern. 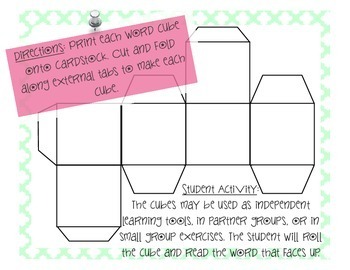 Simply print the cubes onto card stock and then cut, fold, and attach along the external tabs to create the cubes. You may use these cubes as a quick review exercise during small group instruction, or you may provide them for students as independent learning tools. Kinesthetic learners, in particular, will benefit from using these hands-on activities within the context of reading instruction. 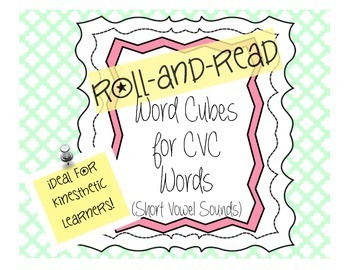 These word cubes are suitable for students of all ages who may need additional review or fluency practice with CVC words and short vowel sounds. 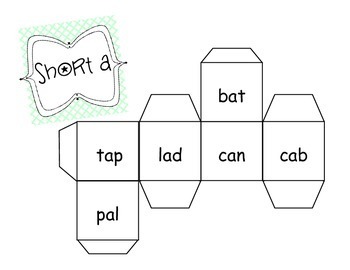 Additionally, this product contains a blank template which teachers or students may use to create their own word cubes. Please view the preview file for additional details about this product.